(City Howell, Mi. – Jan. 11, 2017) — Sentinel Concepts, leading consultant and training organization specializing in the firearms industry, announces a partnership with FN America, LLC to provide input to the company’s product development as well as instruction on cutting-edge training protocols for their staff. 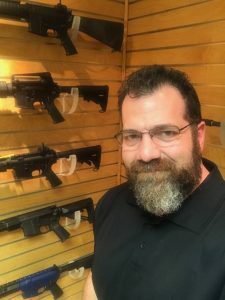 Additionally, Steve Fisher, owner and President of Sentinel Concepts, will act as a brand ambassador for the FN brand, utilizing the company’s FN 15™ series of modern sporting rifles and semi-automatic, polymer pistols during his training courses. FN America selected Fisher for his practical approach to training and reach within the civilian and law enforcement training communities. 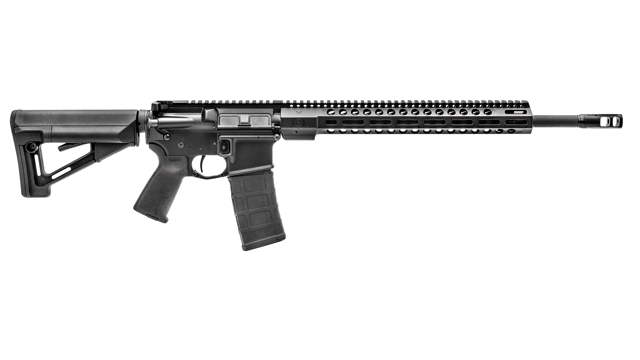 Fisher will transition to the FN 15 Series of rifles – the Tactical Carbine II and the DMR II for his 2017 classes. Fisher will be participating as a professional representative of the FN line of rifles and pistols and as an active member of the product development team. Consulting for manufacturers in product design and testing has long been a part of Fisher’s contribution to the industry. “I am honored to join the FN team and represent such high quality, well designed products.” Steve Fisher said. Fisher trains at venues nationally and consults with firearms manufacturers, retailers ranges and accessories companies for creative and design programs. The balance between real-world application and new product initiatives within FN make Fisher an ideal fit. The World’s Most Battle-Proven Firearms.™ | FN America, LLC, is a U.S. subsidiary of FN Herstal, S.A., a global leader in the development and manufacturing of high quality, reliable firearms for military, law enforcement and commercial customers worldwide. Headquartered in McLean, Virginia with manufacturing operations in Columbia, South Carolina, FN America is passionately committed to providing its customers with a portfolio of products, training and support services under the FN brand name that enhance their performance and safeguard their lives. For more information, visit us at www.fnamerica.com or follow us on Facebook, Twitter and Instagram. FN press contact: Kristina DeMilt, media@fnamerica.com. Steve Fisher has been the owner/lead instructor for Sentinel Concepts since 2014. He also is a contract instructor for numerous ranges in Michigan and has been a staff instructor for EAG Tactical for the past 5 years. Steve currently serves as a part time police officer and for multiple agencies as a firearms trainer for SWAT and patrol divisions. Fisher trains at venues nationally and consults with firearms manufacturers, retailers, ranges and accessories companies for creative and design programs.